With most of the major athletics competitions and series of 2018 having reached their conclusion, we look back at the key moments of the year in each area of the sport. The series begins today with a review of the race walks provided by Paul Warburton. It will be followed by reviews of all the other event groups throughout the coming week from renowned statisticians Mirko Jalava and A Lennart Julin. With the road and cross-country season still in swing, that particular review will be published at the end of the year. Race walking saw the penalty pit lane take centre stage in 2018 – an initiative that will hopefully drive the sport to ever more popularity. 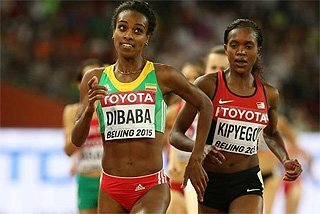 It was also a year which saw the women’s 50km become a major feature in the IAAF Race Walking Challenge and the IAAF World Race Walking Team Championships. But when it came to challenge honours, there was more than a touch of déjà vu about the results. The challenge is becoming a bit his 'n' hers for Erica de Sena and husband Andres Cocho. Last year De Sena won the US$25,000 women’s first prize. This year it was Cocho coming out top to increase the family fortunes. In fact, those who stayed the course 12 months ago were up there this time as well. 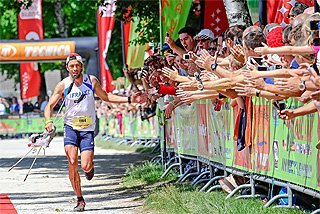 Last year’s men’s winner Eider Arevalo was second as was De Sena in the women’s division behind China’s Qieyang Shijie. And the much improved Lebogang Shange moved up a place from fourth to third. The series concluded at the Around Taihu International Race Walking Competition in China at the end of September: a sort of Tour de France for heel-and-toe talents where challenge points get totted up over three stages. World champion Arevalo was victorious overall in Suzhou and picked up 12 points. 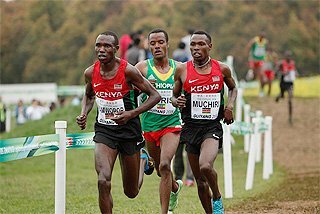 But it wasn’t enough to catch leader Chocho, who had earlier amassed 25 points following a 50km win in Monterrey, a 20km triumph at the South American Championships, and fourth place over 20km in Rio Maior. Even so, with just one point separating Chocho and Arevalo and five points between the top three, it was the closest finish in the men’s Race Walking Challenge for 12 years. Portugal’s world and European 50km champion Ines Henriques was one point behind De Sena and finished third – just as she did in 2017. The interesting thing about Taihu was the inclusion of the pit lane for those incurring disqualification cards. It was the second time in the year the new innovation got a major airing after the World Race Walking Team Championships in Taicang in May. 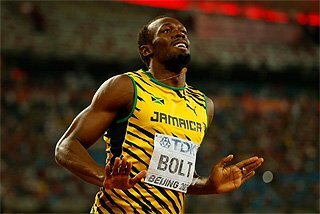 The idea is to allow athletes a chance to finish the race albeit after they sit out a time penalty in the ‘pit’. 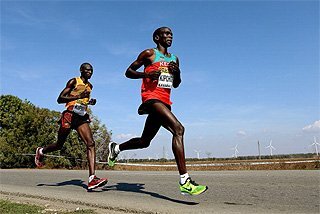 Once a race walker has cooled their heels, they can reactivate them and carry on to the finish. Only one race walker, Quentin Rew from New Zealand, incurred the ultimate penalty of disqualification from the 20km stage in Taihu after receiving five red cards. Opinion is divided on the innovative scheme, but race walking legends Robert Korzeniowski, Jefferson Perez and 2004 Olympic bronze medallist Jane Saville believe it’s the future. Britain’s Tom Bosworth was required to do time in the pit during the World Race Walking Team Championships where he served a two-minute time penalty. But in an up-and-down year, the 28-year-old also earned silver at the Commonwealth Games behind Australia’s Dane Bird-Smith, and set a world 3000m race walk record on home soil in London. Bosworth’s 10:43.09 smashed the old mark of 10:47.11, set by Italy's Giovanni De Benedicts in May 1990. In second place, Shange’s 10:47.08 was also just inside the previous record. In Taicang Bosworth had to frustratingly watch the race go by. It rained for the second time the Chinese city has hosted the event in four years, but not enough to dampen Koki Ikeda’s spirits. Yet another Japanese talent made his move at the right time in the men’s 20km in a race where the lead changed several times. Ikeda lit the afterburners in the final 500 metres to blaze over the line in 1:21:13, and beat closest challenger China’s Wang Kaihua by nine seconds. Massimo Stano was a plucky third for Italy. The men’s race was close, but the women’s competition over the distance was done and dusted at 14 kilometres. Maria Guadalupe Gonzalez took a breath; upped the gears, and notched a crushing 4:06 for the 15th kilometre. Not only did the Mexican leave everybody trailing in her wake, she had the luxury of easing back in the closing stages, and still retained her crown from 2016 by 28 seconds over Qieyang. 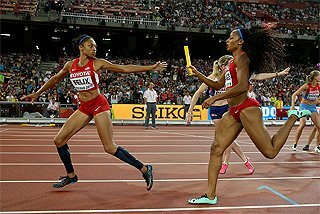 Had Gonzalez decided to go for broke, she would have beaten her best, achieved in Rome in 2016, and maybe gone under 1:26:00 for the distance. 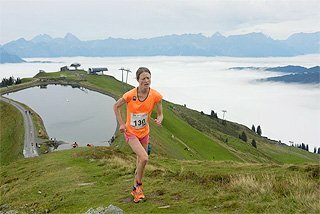 A separate women’s 50km was featured at the World Race Walking Team Championships for the first time following the ground-breaking debut at the IAAF World Championships London 2017. Henriques, the winner in London, was the pre-race favourite in Taicang. Sadly for her, the distance can be an unforgiving slog, and this time the Portuguese athlete was forced to drop out at 29 kilometres. It left the door wide open for the unknown Liang Rui, who not only seized her opportunity, but did so in a world record of 4:04:36, taking 80 seconds off the mark set by Henriques in London. Amazingly, Liang had to be all but strong-armed into giving the race a go. As she said: “I am a little afraid of the longer race. After all, 50km could be quite tiring.” Henriques would agree. Second went to a weary Yin Hang for China's first 1-2 finish in a senior women's event at the World Race Walking Team Championships since 1985. 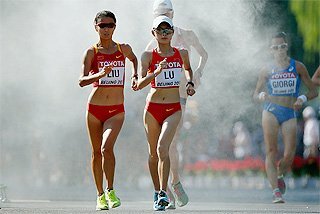 Neighbours Japan, as mentioned, have become a major force in race walking – arguably only second to China in terms of male fast times and strength in depth. They swept the medals in the men’s 50km in Taicang, having never won a gold medal before in the 57-year history of the event, and never a medal of any sort in the longer race. 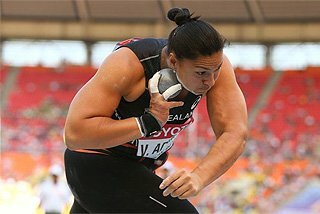 For Hirooki Arai, his progress chart has pointed upwards since a fourth place at the IAAF World Championships Beijing 2015. 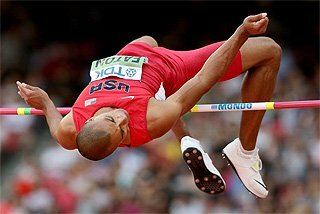 The 30-year old took Olympic bronze a year later in Rio, and silver at the World Championships in London last August. In Taicang he didn’t need a personal best to win, but dug deep for a final surge when teammate Hayato Katsuki drew level after more than 40 kilometres watching Arai’s back. At the final sponge station, Katsuki felt the need for a dowsing. Arai noted the ever-so-slight pause, and charged on to breast the tape by a mere six seconds. It proved to be an expensive refresher for the silver medallist. Satoshi Mauro was third for the perfect team score. Bearing in mind the competition title since 2016 when it changed from the World Race Walking Cup, there was need for only two anthems on the team podium all weekend – Japan’s and China’s, who took the other five titles on offer. In February, the challenge kicked off in Adelaide with a men’s 20km win for Sweden’s Perseus Karlstrom, a second ahead of Lithuania’s Marius Ziukas. Chile got a first international placing with Yerko Cortes in third place in the men’s race. The hosts’ Beki Smith won the women’s race from compatriots Jemima Montag, later to win Commonwealth gold, and Claire Tallent, whose longevity was rewarded in Taicang in May with bronze in the 50km. 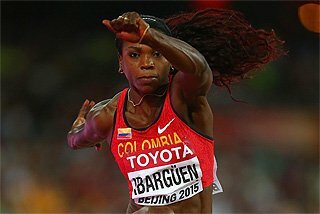 Later that month, Shange became the first African to win a Mexican leg of the challenge in Monterrey, where Gonzalez also breezed the women’s 20km by the best part of a kilometre from De Sena. The second placer’s husband started his quest for challenge points with a comfortable win over 50km. Chocho was more than three minutes clear by the end, but that was the width of a vest compared to the first ever women’s 50km winner at the Memorial Jerzy Hausleber race as Erika Jazmine Morales won by nearly 22 minutes in 4:32:53. Chocho racked up more challenge points on home turf at 20km in March at Sucua, Ecuador. His wife also won on the same weekend, and Magaly Bonnilla, also from Ecuador, won and set a South American record at 50km in 4:19:43. In the same month, but on the other side of the world, Daisuke Matsunaga completed a straight hat-trick of 20km wins at the Asian Race Walk Championships at Nomi, Japan. 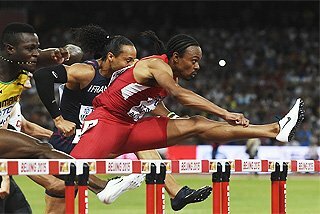 The talented Japanese had already clocked 1:17:46 in Kobe in February which incredibly was only good for third place. In Rio Maior in April as the Race Walking Challenge made its traditional European bow, Diego Garcia Carrera was a surprise and comfortable 20km winner in 1:21:15 from Spanish teammate Álvaro Martin, although the latter was to have his day at the European Championships in August. Qieyang got her successful tilt for the challenge underway with an easy 20km win over Italy’s Antonella Palmisano, who finished the year with a different walk – down the aisle to her wedding. Arevalo had to work hard to secure a narrow but fast 20km win over Carrera once the challenge had moved on to La Coruna in June: 1:19:14 to 1:19:18, while Qieyang was again untroubled, this time in a speedy 1:26:28 clocking over a course that produced a world record for Chinese teammate Liu Hong in 2015. As said, Martin turned the tables on Carrera at the European Championships in Berlin, but it was still a one-two for Spain. The same country took the women’s 20km where out of relative obscurity Maria Perez stormed through to win in a championship record of 1:26:36. This time, Henriques made no mistake in the women’s 50km, winning by more than three minutes from Ukrainian Alina Tsviliy. Maryan Zakalnytskyy went one better for Ukraine, when he too came through late on in the men’s 50km to pass nailed-on favourite Matej Tóth, who had a rare off day. It was one of the few turn-ups in a year when 2017’s talent were there or thereabouts for the second time in a row.